Even pink freshwater pearls are very versatile gems and you will be able to wear your set of pink Freshwater pearls to a variety of different events. You can if you want to wear them with casual attire as they will add a special charm to your outfit. They can also be worn with more elegant and formal wear, as they are the embodiment of poise and elegance. 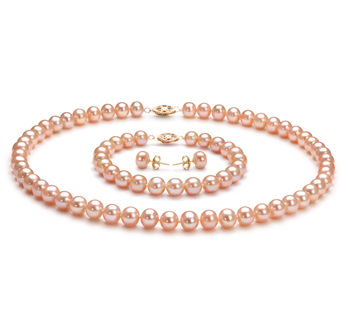 Why not take a look at the following tips to help you to choose the ideal Pink freshwater pearl set for you. When you wear a pearl set such as the ones in our collection they will help you to stand out even in the most sophisticated of crowds. This is because they come with a classic type of elegance that will ensure that each piece of the set complements the rest of your outfit perfectly. A pink Freshwater pearl set would make the perfect birthday present. The durability of the pearls means that they can be worn for many years to come by you at a wide array of different events. 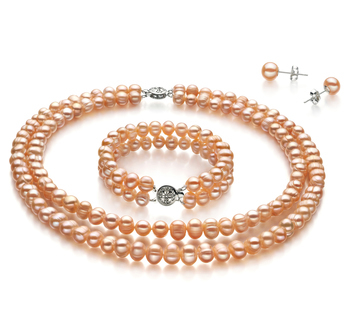 As they carry a classic kind of elegance Freshwater pearls are appreciated by women of all ages. 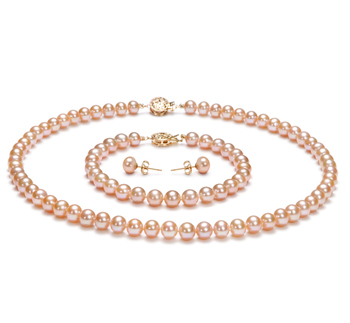 As well as buying such for your self you may want to think about presenting your daughter, granddaughter or niece with one of our pink Freshwater pearl sets. This is the perfect present to give to them when they turn 16 or 18. They will cherish such a gift for many years to come. 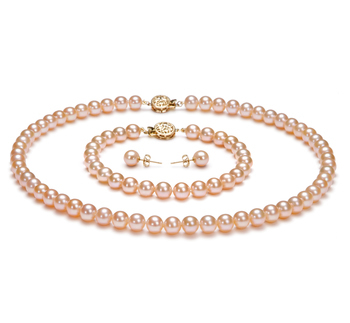 Also, you will find that the subtle colors in our Pink Freshwater pearl sets mean that they will be able to easily pair theirs with a variety of different outfits. These are the perfect accessories to be worn to a graduation ceremony, as they will help to complement the sophisticated nature of this type of event. You may want to give such a set to your daughter to wear on what is one of the most important days in her life. It is the day when she really comes of age and is no longer a teenager but now a young woman. 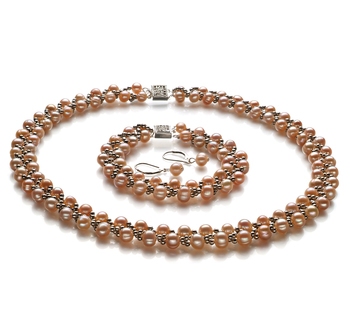 For you guys out there you should really think about presenting your wife with one of our beautiful Pink Freshwater pearl sets. Such sets will clearly show to her just how much she means to you and how much you value her. As your 30th Wedding Anniversary is known as the “Pearl Anniversary”, then, of course, this is the perfect gift to present to her on such an important day in your life together. 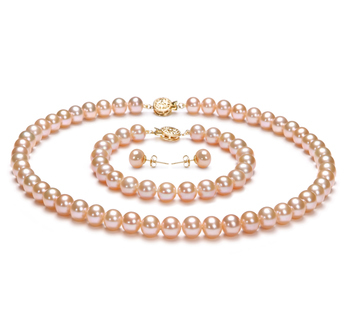 One of the main benefits of owning a Pink Freshwater pearl set is they are very versatile. You don’t have to wear every piece in the set together all the time. You can if you want just wear the necklace and earrings, or the necklace and bracelet. So it means you are able to mix and match them with any outfit you are wearing on any given day. Less is more sometimes. By keeping things simple will really add a polished touch to any outfit in your wardrobe.